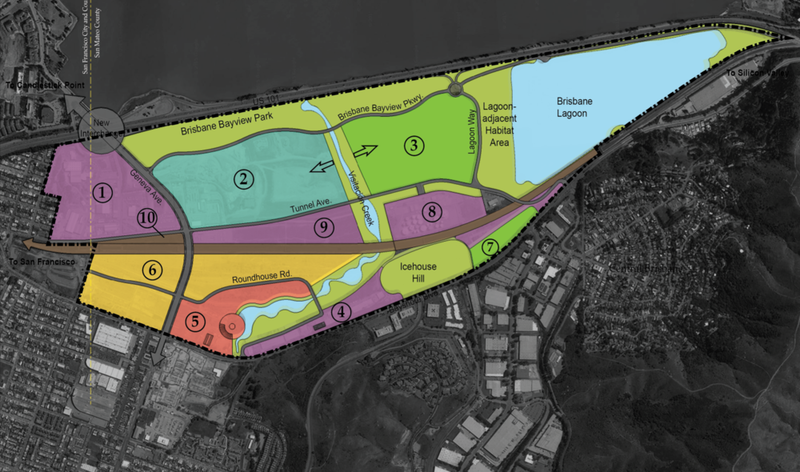 The Arroyo Group performed a five-day design charrette to assist Metis Environmental Group and the City of Brisbane envision an appropriate level of development on the 733-acre Baylands. The Baylands is a vast brownfield located immediately to the south of the San Francisco city limit. The western half is a former railyard, and the eastern half is a former landfill, creating myriad environmental concerns which informed site planning. This complex project involved balancing issues including pollution concerns, regional housing needs, preservation of community character, view protection, transit-oriented development and potential new High Speed Rail infrastructure. 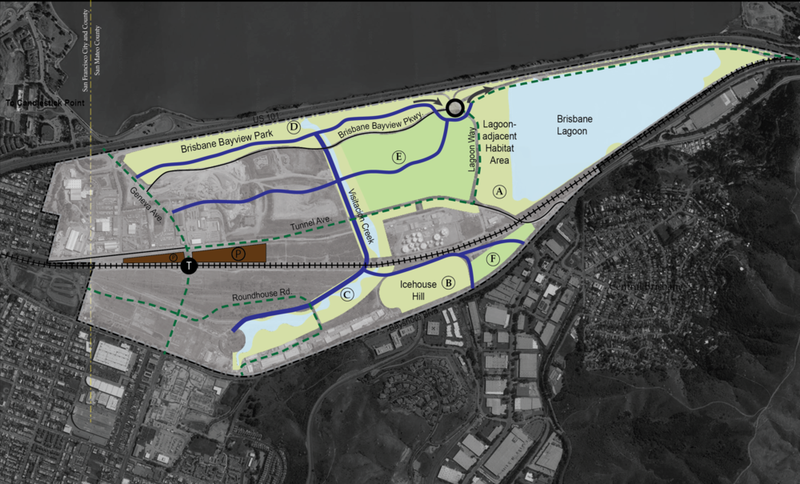 The illustrative design reserves 40% of the site as open space, including the most environmentally sensitive and Bay-overlooking areas, and connects them with a trail system to the existing Brisbane community and new development. 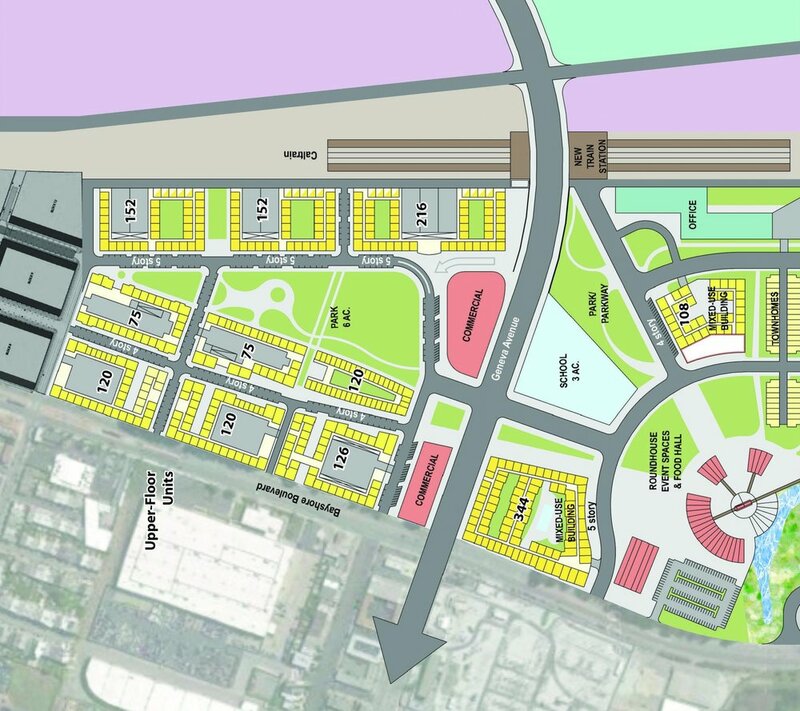 The design illustrates the reuse of some of the landfill areas as a high-amenity tech campus, while the former railyards to the west of the Caltrain tracks accommodate the needed housing and/or office development with supportive retail. The old roundhouse is adaptively reused into a unique food hall.